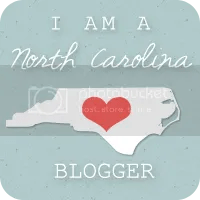 StayCation Day Five: The Vegetable Garden! | Arthur in the Garden. 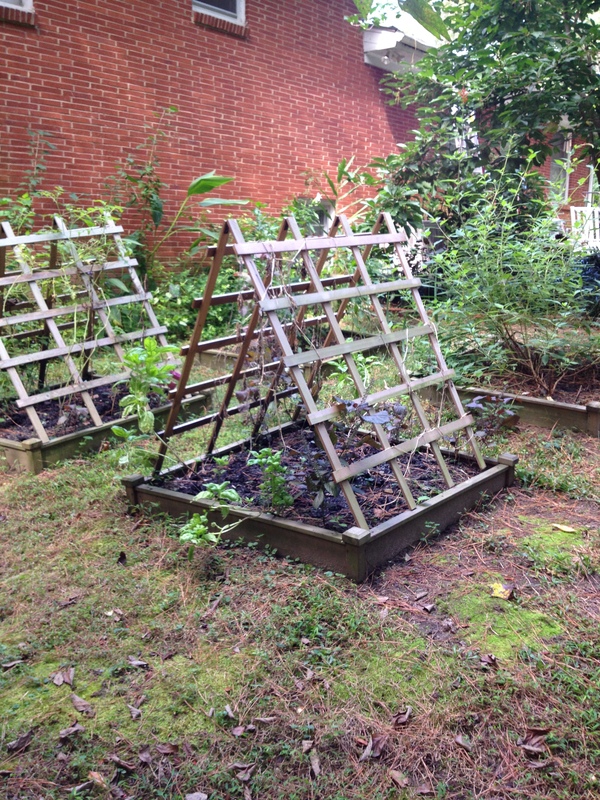 StayCation Day Five: The Vegetable Garden! On the last day of my staycation, it was time to clean up the vegetable garden. The cucumbers have been long gone. The tomatoes were hanging on -barely. Its time to replace the Summer veggies with Fall, cool-season, vegetables. 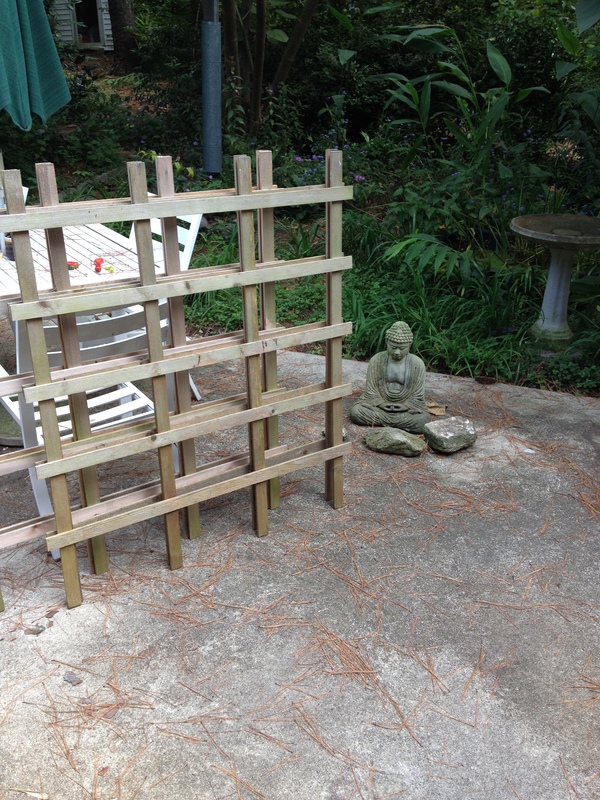 The trellises will be cleaned and stored in the garden shed. The Buddha will keep a watch on them as I work on the beds. 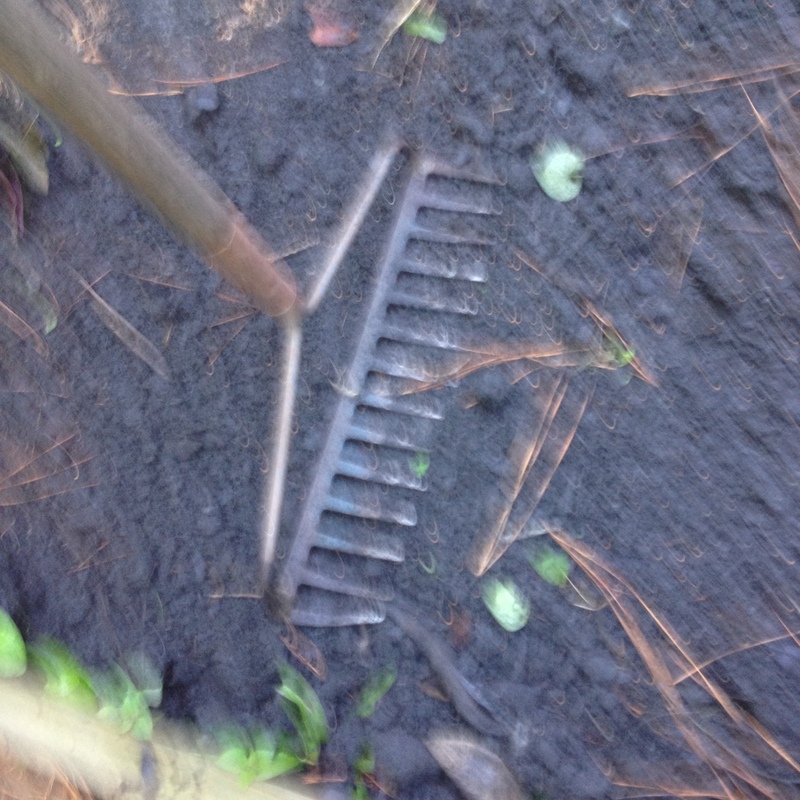 A couple sweeps of the garden rake removes roots and weeds. 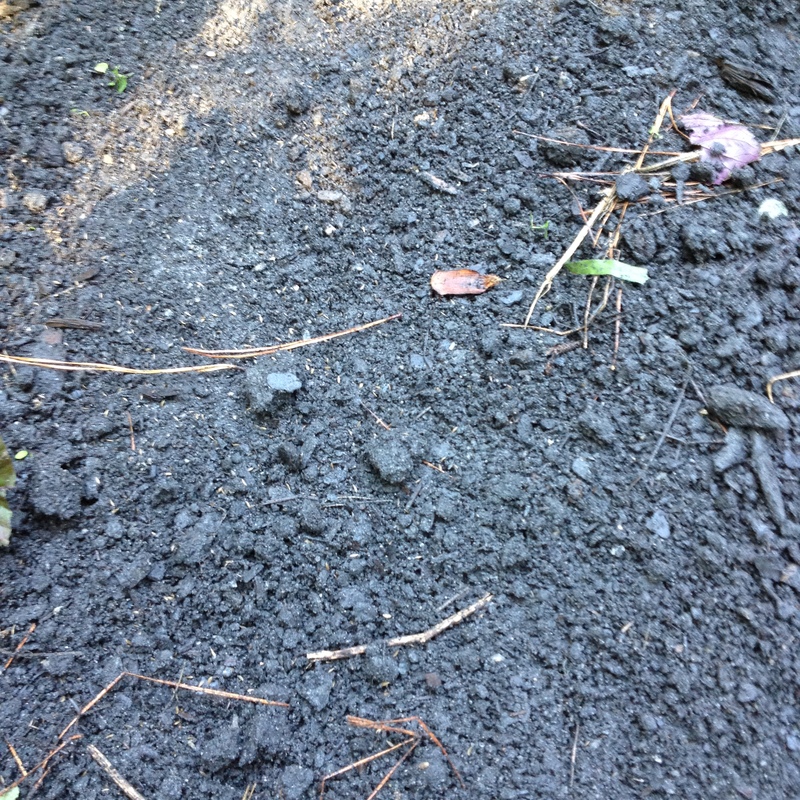 The soil is leveled using the back of the rake. The seeds are broadcast sewn. They will germinate within a few days if it continues to be warm. 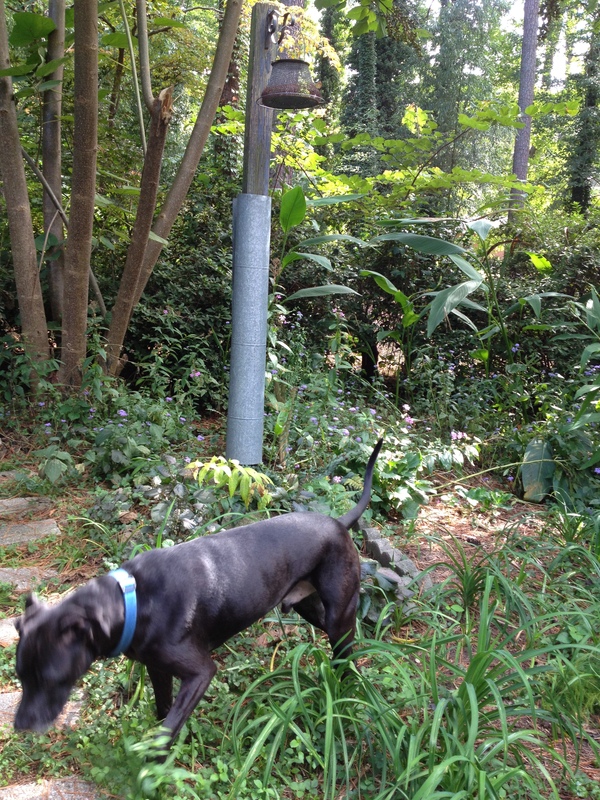 Gus enjoys looking for any wildlife he can find among the azaleas and daylilies. The daytime temps were in the 80s for the second day today. This will help the seeds to germinate but if it stays warm too long they my bolt, or go to seed too fast. This can produce bitter greens. Cooler temperatures are best to prolong the season. Some greens, such as collards, are best when they are nipped by frost at night! Yes! Plant about every two weeks and you can harvest until the first hard frost! Hope you get the break from the heat so the seeds can grow. Won’t see that here till Thanksgiving. You’re so organized in your vast garden, I envy that. And Gus is too sweet. 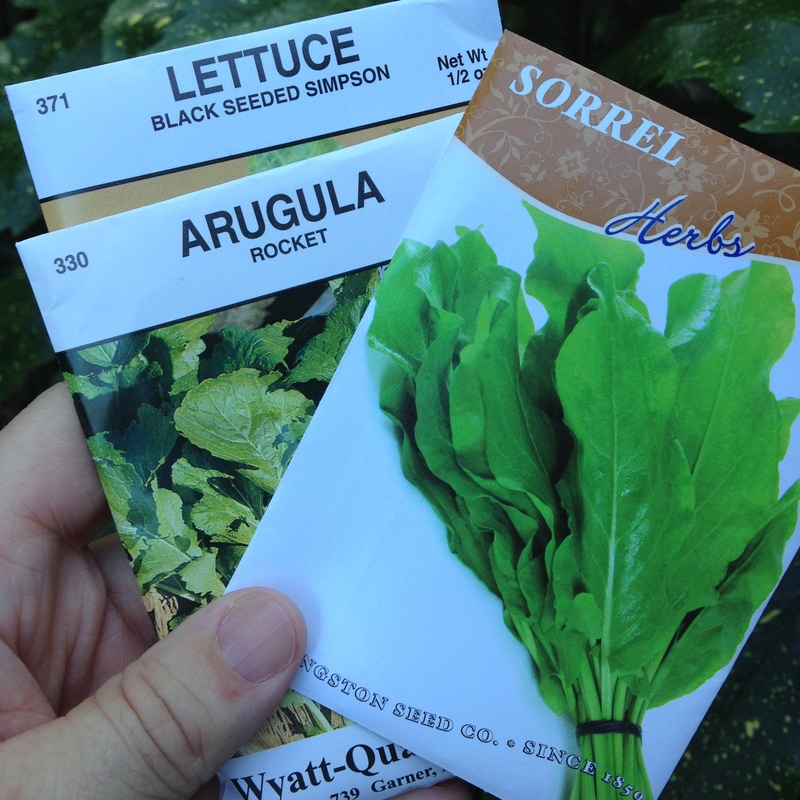 Growing your own is the best – good luck! Great post, thank you. Love the garden behind Gus. Lovely. I like the photo of the buddha watching over your work.